This is quick and silly, but useful to me. Maybe it'll help others. A lot of my gadgets use MicroSD and SD cards. I've found you can get MicroSD's pretty cheap, so now I just buy those and carry an SD adapter around for the times I need to put a MicroSD into my digital camera or laptop. I bought my SD Card Adapter in a set (with two 8GB microSDs included), so it had space for the adapter with one MicroSD already inserted, and another space for one MicroSD card. 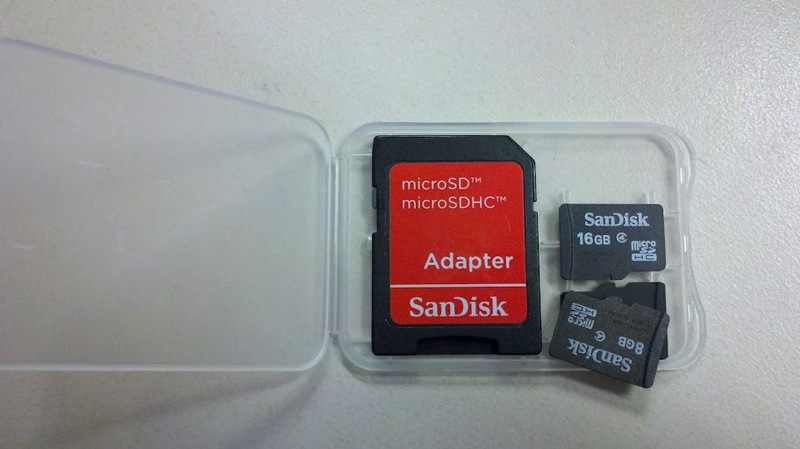 The case is conveniently-sized, but I wanted it to be able to hold more MicroSD's. I started by placing one MicroSD on the inside edge of the open case, resting on the plastic tabs that are designed to hold the original MicroSD in place. I faced the new one pointing the opposite direction (broad end to the right) from how the original MicroSD is supposed to sit (broad end to the left). 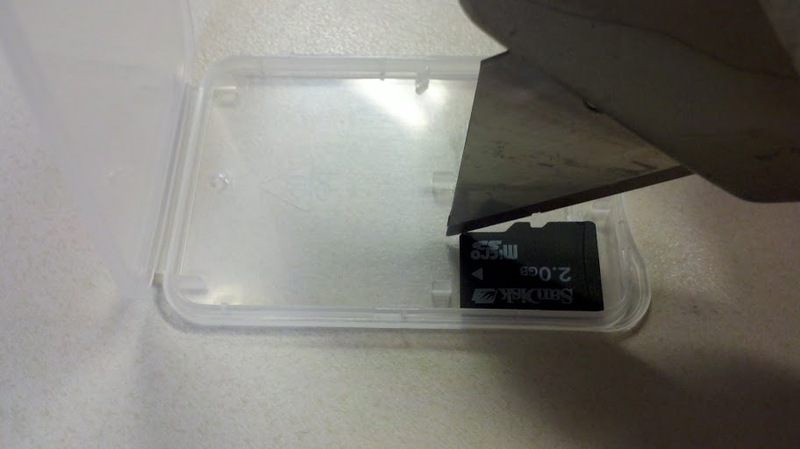 Then, as shown below, I made two slices in the plastic with a box cutter to trim the tabs to the right length to allow more MicroSD cards to fit in the case. Not shown: I removed the SD card and used the box cutter to cut the tabs loose from the bottom of the case. 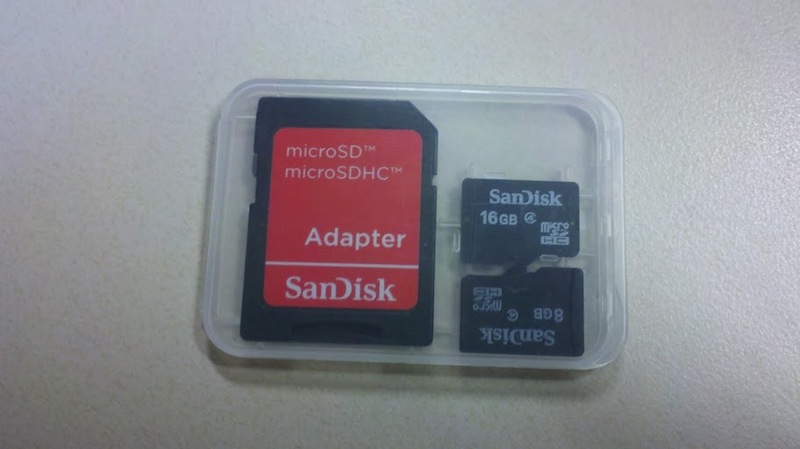 Now, two SD cards can fit stacked on top of one another in the space next to the original MicroSD. With one SD card in the adapter, another in the original spot and two stacked next to it, I can now carry a total of four MicroSD's and the adapter in this small and convenient case. Side note: I saw 64GB MicroSD's for the first time over the weekend. That's about 2,500 times the capacity of the hard drive I helped dad install into our first real desktop PC, and it's half the physical size of a postage stamp. The future: we're living in it.